The music of Black Panther, with Kendrick Lamar in its starring role, officially owns the 2019 Grammy Awards, where women are heavily represented in the major four categories following a year where their presence was barely felt. The Recording Academy announced on Friday that Lamar is the top contender with eight nominations, including seven for his musical companion to the Marvel Studios juggernaut starring Chadwick Boseman and Michael B. Jordan. Black Panther: The Album, Music From and Inspired By is up for album of the year, a category where women make up five of the eight nominees. Cardi B, Kacey Musgraves, Janelle Monae, H.E.R. and Brandi Carlile also are up for the top prize, along with Drake and Post Malone. The Panther nomination would give Lamar a chance to win album of the year after losing three times. His most recently loss was in February when his critically acclaimed Damn fell short to Bruno Mars’ 24K Magic, though Lamar’s project would go on to win a Pulitzer Prize for music two months later, making him the first non-classical or jazz artist to win the prestigious honour. Lamar’s Top 10 hit, the SZA-assisted All The Stars, is nominated for both record and song of the year (a songwriter’s award). 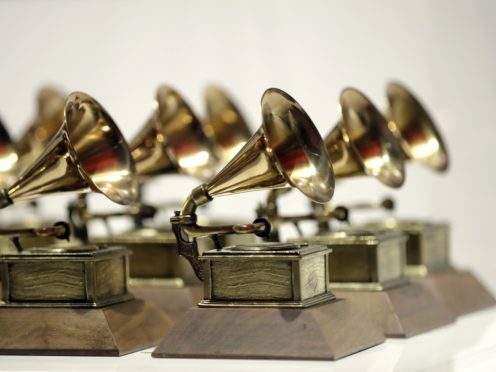 Five other songs scored nominations in both categories, including Lady Gaga and Bradley Cooper’s Shallow from A Star Is Born; Childish Gambino’s This Is America; Drake’s God’s Plan; Zedd, Maren Morris and Grey’s The Middle; and Carlile’s The Joke. Ella Mai’s Boo’d Up and Shawn Mendes’ In My Blood earned song of the year nods, while Post Malone’s Rockstar and Cardi B’s I Like It, featuring Bad Bunny and J Balvin, round out the nominees for record of the year. Following Lamar, Drake, the year’s most successful artist, earned seven nominations. Though nominated for album of the year, he was surprisingly shut out of best rap album, where his rival Pusha T earned a nomination. Drake’s frequent collaborator, producer Boi-1Da, earned six nods, as did Carlile, who also scored nominations in the American Roots category. The nominees for the 2019 Grammys mark a departure from this year’s show, where women were underrepresented in the top four categories. Of the eight best new artist nominees, six are women, including H.E.R., Chloe x Halle, Dua Lipa, Margo Price, Bebe Rexha and Jorja Smith. Rock band Greta Van Fleet and country singer Luke Combs also earned nominations. Another milestone for women is in the non-classical producer of the year category, where songwriting extraordinaire Linda Perry earned a nomination. She is just the seventh woman ever nominated for prize and first since 2004. Taylor Swift, a two-time album of the year winner, also only earned one nomination, her Reputation album is up best pop vocal album. Justin Timberlake, whose Man Of The Woods albums flopped earlier this year, picked up a nod for Say Something, his collaboration with Chris Stapleton. Beyonce and Jay-Z, billed as The Carters, as well as Ariana Grande, did not earn any of the big nominations. The Carters earned two nods in the R&B category along with best music video, while Grande picked up two nods in pop. Artists who were completely snubbed include Carrie Underwood, Sam Smith, Migos, Kane Brown, Nicki Minaj, XXXTentacion and Juice WRLD, whose Lucid Dreams was one of the year’s biggest hits. Some acts scored their first nominations ever, including Florida Georgia Line, whose megahit Meant To Be with Rexha is up best country duo/group performance. Camila Cabello, Malone, Mendes, Dan + Shay and DJ Mustard are also first-time nominees. Gaga, who earned acting and music Golden Globe nominations on Thursday, picked up four Grammy nominations for Shallow, while Joanne is up for best pop solo performance. The soundtrack for A Star Is Born was released after Grammy eligibility, though Shallow was released in time and also earned Cooper two nominations.